We’re one of Australia’s largest, independent interior furnishings and property styling companies. For almost 100 years, we’ve been adding style, comfort and wow factor to residential and commercial properties. We pride ourselves on quality, innovative products and services. And we consistently add value and desirability. Our clients include commercial property developers, real estate agents and volume homebuilders, right down to individual homeowners. Vintage & Nostalgia Co are a unique one stop shop for vintage and retro homewares, gifts and toys. We provide a hand selected range of original vintage pieces for prop hire and styling. Our team have years of experience in television, film and advertising styling and art direction. Whether you require some items for your own home or a client or would like to hire a suite of vintage props for an event we are able to assist you. Property Styling and Furniture Hire for Partial and Full Staging Furniture packages for AirBNB properties available. Piller property styling in Melbourne oversees large and small projects and work closely with their clients to create beautiful spaces that reflect the individuality and style of their home. The effective property stylists in Melbourne constantly undertake research to stay ahead of the latest trends, and have a proven track record of providing exceptional property styling and furniture solutions, earning them a reputation for meeting and exceeding customers’ ever-changing needs. With the property market booming in Melbourne, an expert home stylist could be the key ingredient to ensure you receive the best sales price for your home. Offering tremendous value to your property is what their property styling in Melbourne does. Home is a place of belonging and connection; a haven that reflects your personality, and where you are surrounded by colours, textures and objects that make you feel good. 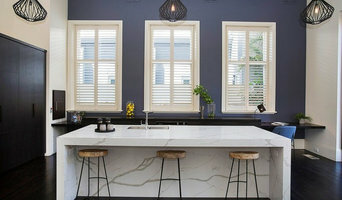 Bai is Talissa Bailey, an interior decorator in Melbourne, who is redefining the relationship between home interior stylists and their clients. Combining personal story and individual design aspirations, Talissa brings to life contemporary and classic interiors that always respect the place of sentimental objects in people’s lives. Providing a range of styling services, Bai is your Melbourne interior decorator; styling for sale professional, and event styling expert. You can also shop the Bai range of personalised bedding in our online store. It’s our mission to design modern, stylish and elegantly presented homes showcase the strength of your property and impress potential buyers. Our home staging techniques help your space stand out for the competition, sell faster, for better value. Our furniture and decor solutions provide you with fresh, contemporary and personalised staging that instantly connects with buyers.